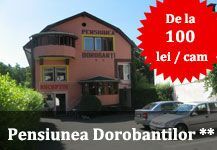 Andrei Muresan neighborhoods is the most exclusive residential district of Cluj Napoca, located between Calea Turzii and Constantin Brancusi street. 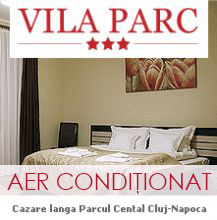 It is close to the old city center of Cluj Napoca, and the neighborhoods Gheorghieni, Zorilor and Buna Ziua. In the Andrei Muresan district are located headquarters of banks and companies, restaurants, cafes and private clinics, and transportation to all of the other neighborhoods and areas of interest is provided by public transport and taxi firms. You can easily reach the city center and sights of Avram Iancu Square with the Orthodox Metropolitan Cathedral, the monument Avram Iancu, which is surrounded by a fountain and pedestrian space, the National Theatre and Romanian Opera. It is also close to Heroes Boulevard that leads in Union Square, where you can admire ancient palaces, church of Saint Michael, statue of Matthias Corvinus and you can visit the Museum of Art. Buna Ziua neighborhoods, located in the southern part of Cluj Napoca, is a new neighborhood that has emerged after the revolution. It is in constant development, and although at the moment to has a small population, is expected to increase the number of population due to very good area in terms of positioning. In recent years the district has experienced a real estate development, new apartment buildings was built and at the ground floor have been opened private clinics and offices of furniture and decorating firms. Link to neighborhoods and areas of interest in the city is provided by bus and taxi services firms. These two neighborhoods offer peace to every citizen, but also for tourists seeking accommodation in the area. 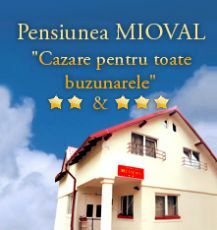 Accommodation in Andrei Muresan and Buna Ziua neighborhoods is provided by hotels and pensions that provide accommodation and services for every taste and every pocket.